How to get Product code? Log in to your Partner account, follow to "Banners" section and decide which size of banner is better for you. 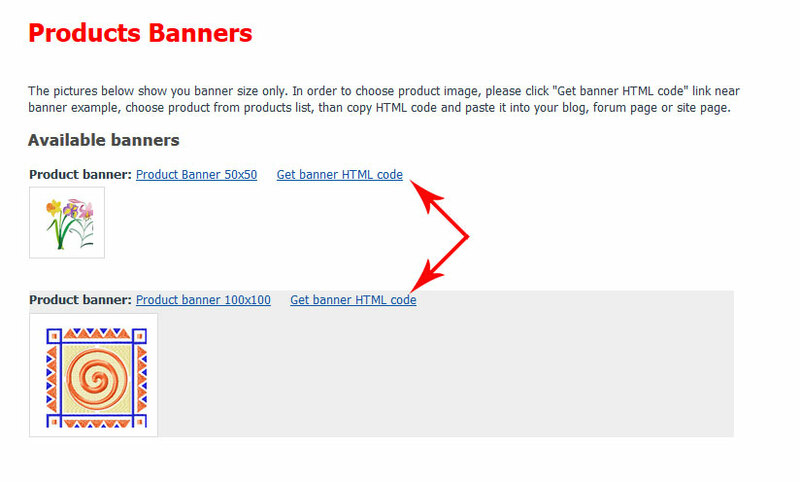 Than click on "Get banner HTML code". You'll be asked to choose product from list of products; when you'll do that, you'll receive the HTML code. Copy it into your site or blog. You are able to add your own banners in "Add Product banner", "Add Media rich banner" and other sections of "Banners Management".